Ethylene bis stearamide EBS is a widely used lubricating agent, high-melting wax and liquid is white/yellow. It has good compatibility applied in most plastics with function of lubricating,dispersing,brighetning,demolding,smoothing,sticking resistance and antistatic.It has excellent coupling and dispersibility on pigment and paddings. Unsoluble in organic solvent and water. Soluble in high boiling point solvents such as xylene,chloroform and butanol.Flashing point under 285°C and density ratio is 0.98(25°C). 1) EBS is an excellent plastics processing aids, suitable for almost all thermosetting plastics and thermoplastics. Lubrication of EBS, blocking resistance and excellent antistatic properties, and can significantly improve the plastic or filler dispersion, therefore, widely used as a lubricant, release agent, slippery opening agent. Added to the product in plastics processing can improve the fluidity of the resin solution and improve work efficiency, compensate for the lack of finish mold, to make products glossy, bright color uniformity. 2) EBS as a variety of polymer films or anti-adhesive sheet, blow 0.5-1% when added to the product, not only can prevent air bubbles (fish eyes) occurs, and allows smooth and easy opening bags open. 3) EBS lubricants, as an excellent internal and external lubrication, and other lubricants such as higher alcohols, fatty acid esters such as paraffin and hard calcium in combination with good synergy. 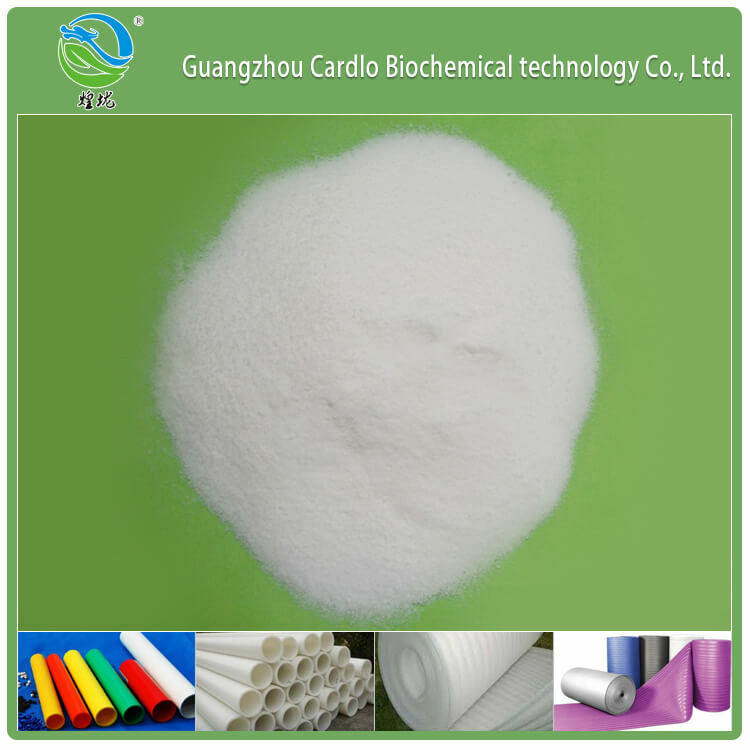 In ABS, AS, hard PVC, polyacetal, polycarbonate and polyurethane processing and phenolic resin, can the FDA as a lubricating release agent, the addition amount of about 0.5-1.5%. 4) , EBS and the main stabilizer complexes ,during an inorganic filler, PVC and polyolefin formulations, can significantly increase the material and heat weatherproof properties of the polymer. Because EBS pigment or add material has a strong affinity, therefore, additional material can be improved polymer dispersion and even connected, increase the commercial value of products. 5) EBS is acceptable as a nucleating transparent agent: compound polyolefins, polyoxymethylene and polyamide, etc. can be shortened its nucleation time, promote thinning resin structure, thereby improving the mechanical properties and transparency of the article. 6) EBS also as a rubber processing aid, in addition to having a lubricating mold release additional material surface brightener. Fluorine rubber processing, rubber can be improved mention kneading, processing and vulcanization performance. 7) In the production of coatings joined EBS, the pigment can be improved, uniform dispersion of the filler, drying paint to improve surface leveling coat of paint to prevent peeling and improve water, acid resistance. In the lacquer can also play the role of extinction. 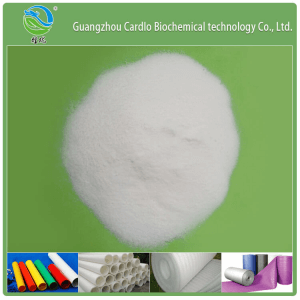 8) In the chemical fiber industry, EBS can improve polyester, polyamide fiber heat resistance, weather resistance, give them some antistatic properties. The spinning of antistatic nylon fiber as additives, but also to reduce yarn breakage. Rubber: synthetic resins and rubbers such as GRS (SBR) was added 1 ~ 2% EBS in their emulsion, a good anti-stick and anti-caking effect. EBS added to asphalt or bietumen it is possible to improve the softening point of about 10 ℃, plastic flow and reduce cold temperature does not become brittle in the premise, to reduce melt viscosity after the increased water, acid, salt water spray.